Mouth Cancer Action Month is held in November every year and is supported by the Mouth Cancer Foundation and the British Dental Health Foundation. Tewkesbury Dental offers free mouth cancer checks to patients and non- patients throughout the year. Call or email us to make your appointment. Mouth cancer causes more deaths per number of cases than breast cancer, cervical cancer or melanomas. Around 60,000 people will be diagnosed with mouth cancer over the next decade. In the UK there were 7,700 cases of mouth, throat and head & neck cancers in 2011. Without early detection it is estimated that over the next decade around 60,000 people in the UK will be diagnosed with the disease and around 30,000 people will die. Worldwide, over 460,000 people are expected to die from mouth cancer each year by 2030. As per a recent Mailonline feature, it seems that 10% of Brits who undergo cosmetic procedures are male (and one in five keep it secret from their other half). Their survey revealed that the most common male patients are 35 to 45 and newly divorced, that one in nine men have the treatments in their lunch hour and that one in five do not tell their wives or girlfriends about the treatment. At Tewkesbury Dental, we welcome male and female patients! All facial aesthetics treatments include a detailed consultation with the practitioner to ascertain suitability and agree on best treatment options. Treatment takes place in our dental surgery, i.e. in hospital grade facilities. See the Facial Aesthetics pages on our website for more information, or give us a call on 01684 295900 to book your free consultation! 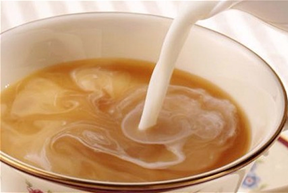 A recent article in the Mail Online quoted a dental study on the impact of milk in tea on dental shades. According to the study published in the International Journal of Dental Hygiene, adding milk to tea can have a better effect than using whitening toothpastes and potentially be comparable to some bleaching treatments – presumably those at the lower peroxide concentrations. The study was carried out by immersing extracted teeth in tea for 24 hours and keeping the temperature at 37 degrees C, so slightly different from most tea routines but it may convince a few people to add an extra splash of milk to their cup! There is a plethora of whitening toothpastes and gels on our shelves today, but products containing higher (and therefore more effective) levels of bleaching ingredients, because of EU legislation, are only available from registered dentists. A free whitening pen (fits in bag or pocket) is sent to any user who writes a review on Saber Tooth’s website.